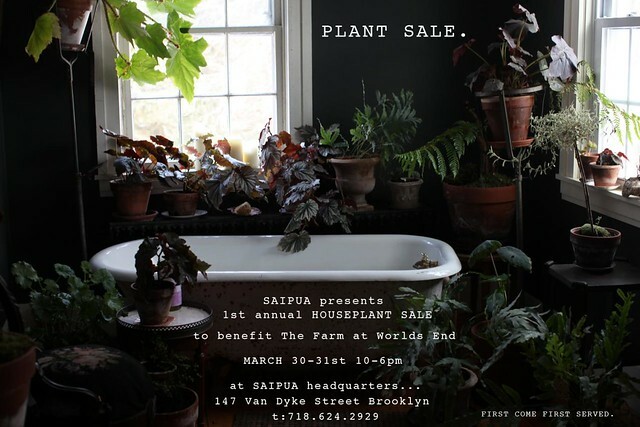 SAIPUA: PLANT SALE March 30-31st!!! No thanks, if I have any extra money I plan to contribute to victims of Sandy. The ones that lost their homes. I agree with you. 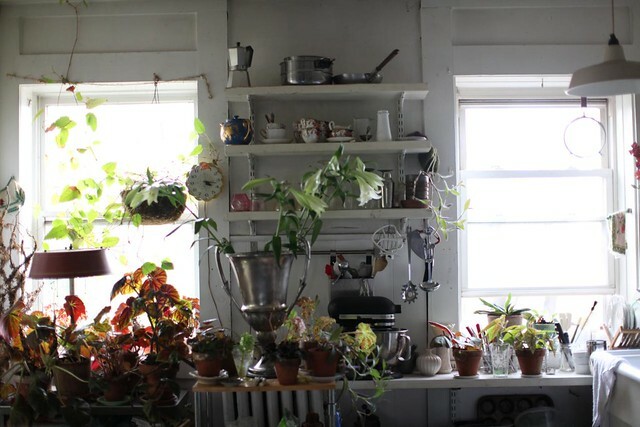 Somehow, cultivating a plant lends to cultivating ones own soul. Also, on a personal note, I think that Anon needs to stop being snooty. No one is asking for donations, here. 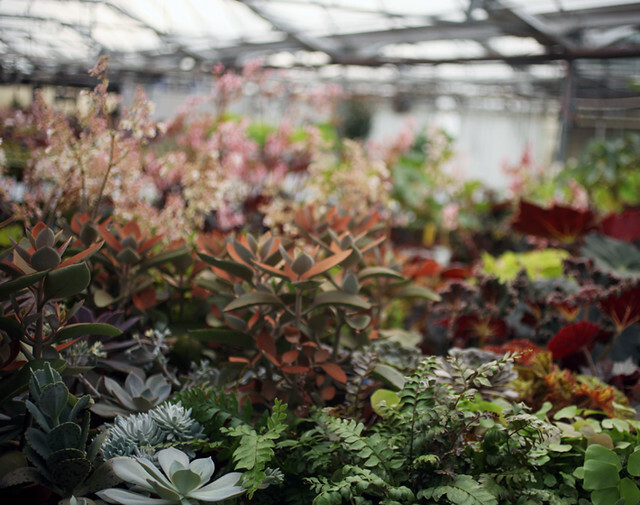 You get a plant for your money, people. Easy trade. Good luck on getting a tractor and keeping Worlds End growing. Anon - let me know when you have that extra money! If you did your homework you'd know that here in our Brooklyn waterfront neighborhood we were flooded and lost thousands of dollars of inventory and personal belongings. So you can make that check out to me and send it to us in Red Hook. THANK YOU for your continual concern and support!!! Maybe you can contact FEMA for help because you had to buy some bleach. OK Anon -you clearly have some issues with me and my work. Want to talk it out? Call me (718.624.2929) or send me a personal email (sarahatsaipuadotcom). But I'm asking you seriously now to leave me alone here and on the worlds end blog. Please respect this. 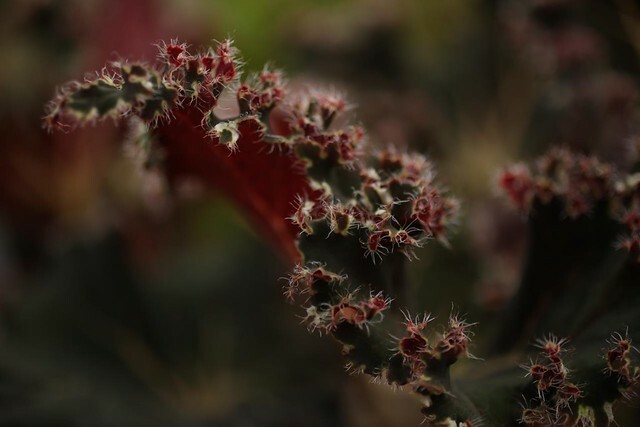 Sarah, your plant photos are lovely - I wish I wasn't in Seattle or I'd scoop armfuls up. Good luck with the sale and your farm venture! G, I'm a serial killer of house plants (damn forced hot air heat). I rotate nurseries in my hood to cover my tracks...If I can make it I will. Whether you need a tractor or not, I'll buy. Biz is biz. Oh so pretty! Can't wait to hear how you love that rig. Consider an FSA loan (Farm Service Agency) at 1.5% to get the farm some skrills for capitalizing some infrastructure and equipment. It will make the difference in the end to have systems that function well sooner rather than later. Happy plowing. So, so happy to see you stepping boldly towards this dream. You are doing amazing and are such an inspiration! This tractor will change your life! In my mind there are few more noble causes than creating the most beautiful flower farm to supply the US market with the most gorgeous heirloom flowers ever. Is there? If you need help with admin stuff that can be done remotely, I will gladly give my time, no strings attached. No eye rolling...just a mighty AMEN. Tractors are a ton of fun! One day, while my husband was napping, I actually lifted and moved to another location, the 12' x 12' floor of a building! It takes only five minutes to till up a 4' x 100' row. You will have the power to grow!! You will love it! Good luck with the sale, and Brava!! for your brilliant vision! Amen, sister, wish I lived closer to buy some plants, I know they would be amazing. Good luck with your sale. Love the lushness of the greens. Hope you are hugely successful! Hooray for you Sarah, every single person that starts growing ANYTHING will get that same bug that gripped us Pyrus girls (and clearly you) and once you've killed a few things, sorry a lot of things, that first wee guy that suddenly turns around and flourishes feels like the start of something big. And well, it is. Flower growers of the world unite! Mighty oaks from little acorns grow and all that... vive la revolution! I'll be there. I'm anon too but not the snooty one up top. I'm so excited for this! will you be selling plant pots too? would rather buy them from you than home depot! Sarah, I'm sure it'll be incredible, I hope to be there! 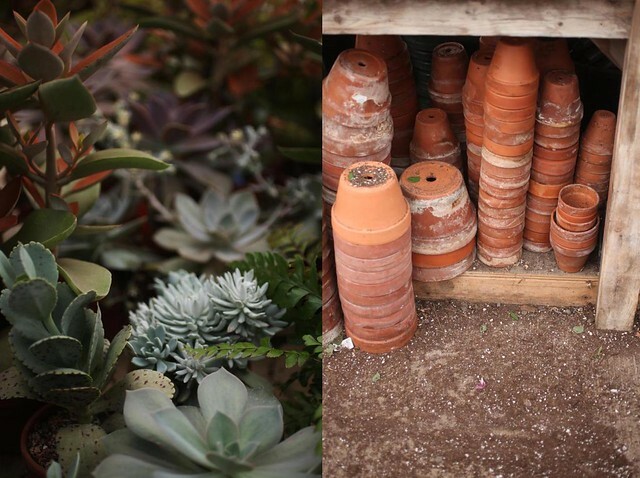 Will you be selling any outdoor plants at your sale? coming from the outer boroughs to your sale! very excited! Here's to your tractor, lady. I missed this post when you wrote it but I can't help commenting now. 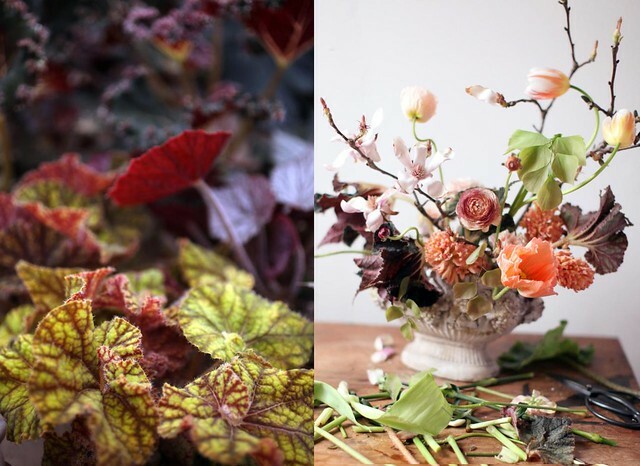 I grew up surrounded by women who gardened gently, amateurly but so well and naturally. As a kid I ran around gardens so beautiful I wish I could go back to appreciate them but I had no idea or interest apart from trying to get butterflies to land on my hand or climb the apple trees. And then in my thirties I moved to an old 17th century barn in the English countryside with half an acre of old field and a river for a garden. And I got the bug, and I started growing and learning and my whole world changed. 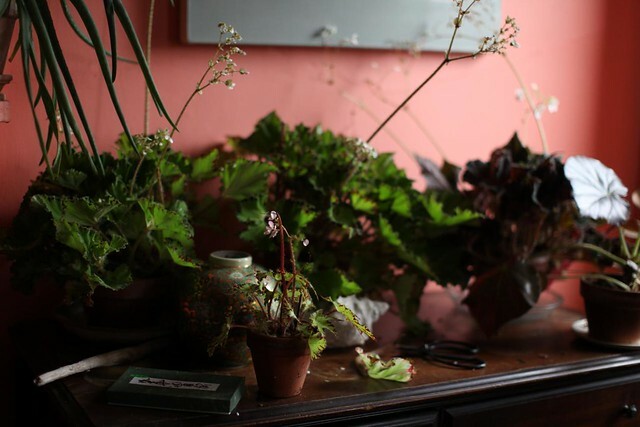 With plants, one thing leads to another, the passion is very forward moving, just as you say and now my garden is full to bursting with flowers and I sell them in bouquets in the summer. I just wanted to say that I totally understand the connections you make about the love of plants and respect for the natural world, that appreciating beauty makes you concerned for its security and makes you desperate for others to have the joy and adventure too - my eyes aren't rolling at all, it is exactly how I feel. And I think the more people that get their hands in the soil, see a seed become a seedling and become a flower that is so perfect you want to cry over it, the better we will look after the world and eachother. YES! And I am sure the farm is not the full stop in your story, new things will stream from that too, I am sure. Thanks for your inspiration.